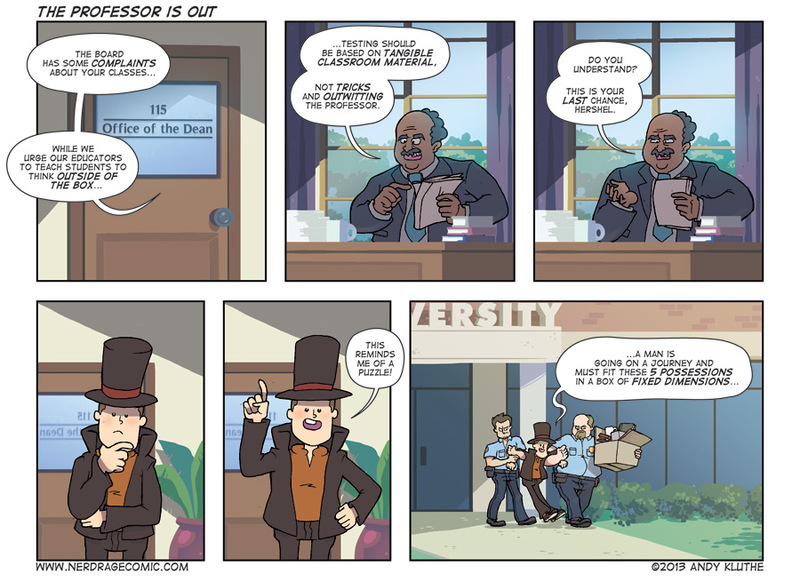 I know Professor Layton is just an excuse to solve interesting puzzles, wrapped loosely in a framework with a (surprisingly) interesting plot -- but every time Herschel heads off on another adventure I have to question the weak link between brain teasers, detective work, and his depree as an anthropology professor. Skip below for an unique Nerd Rage Review of...an online store. Why I won't be using Nippon-Yasan.com again. Before I begin this review, I'll admit I was tempted to do a photo shoot of an empty white backdrop. But even pretending I got an invisible paint variant D-Arts Charizard from Nippon-Yasan.com would give them more credit than they rightfully deserve. Nippon-Yasan.com - "Imrpove(sic) your Japanese skill". This should have been a sign. There is no D-Arts Charizard to review. I never received one. My experience with Nippon-Yasan.com was so terrible I won't be using them again. Most of my Japanese purchases come from HLJ or Amiami. Both companies have treated me well when faced with problems and shipped out my purchases in a timely manner. Bluefin -- Bandai’s western Tamashii brand distributor – also brings products over here. I’ve ordered their products through Amazon (free super saver shipping) and their customer support was awesome when Amazon failed to ship one of my preorder bonus items. I was always told to be adventurous and try new things. After missing an order on D-Arts Charizard through my regular places, a friend pointed me towards Nippon-Yasan.com. They still had the figure in stock and having just ordered a game through them without problem, he recommended their services. Here’s a timeline of the events that followed. I place my order and receive an automated message confirming my order with Nippon-Yasan.com. I ask why my order has not been shipped. No email response. Order marked shipped and I get an automated Nippon-Yasan.com email telling me the same thing. Email states more information will follow. No information follows. I email customer support and ask why my package has not shown up and why I have heard nothing from the staff. 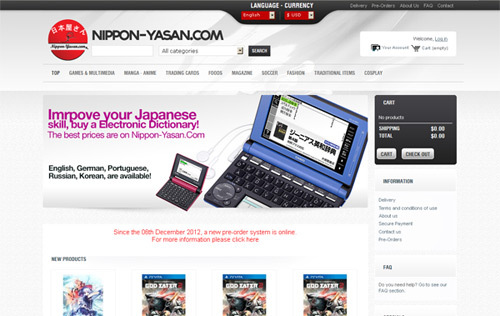 Nippon-Yasan.com tells me they can't do anything to help. I respond and ask why I had to ask to have my package shipped and why responses are sparse. Nippon-Yasan.com tells me the order wasn't "picked up by the system" -- despite this order being placed through a webshop and getting an auto-confirmation email my purchase – and that the order had to be “entered manually”. Nippon-Yasan.com reiterates they cannot help me. I ask if there is anything they can do in refunding me or recovering the package. Nippon-Yasan.com support tells me they can request a refund, but their superiors will likely deny it. I thank them for their help, because I am trying to stay optimistic. I have not heard back, so I resend the previous message. My request is denied; support denies Nippon-Yasan.com’s responsibility in the ordeal and suggests I wait up to 3 months while the Japanese Postal System attempts to find the order. I ask for an update on the missing package. I send the same message again because I have not heard back. Nippon-Yasan.com support responds with no new information. I write asking for an update. No response, so I send the same message again. I still have not heard back so I send this response. Having still not received any response I write yet again. As of writing this article I have not heard back. The real kicker is that the product was actually restocked at my usual sources while this one was supposedly on its way. NIPPON-YASAN.COM's CUSTOMER SUPPORT ... OR SOMETHING LIKE IT. Nippon-Yasan.com’s customer support is unresponsive when contacted and seemingly ignore emails if they do not want to deal with the issue. When confronted with a problem they throw their hands in the air and immediately deny involvement. When asked for any sort of evidence the item left their warehouse they’ve provided no proof beyond their word. I'd normally just give a store the benefit of the doubt when told an item shipped. When a store tells me they have to "manually notice" an item and "manually enter" it because the automated system that allowed me to buy it and pay for it didn't tell them, I question the credibility of their word. …And both product and shipping prices are still higher than Amiami or HLJ. Speaking of sales prices, they seem to bounce all over. Below is a screen capture of Nippon-Yasan.com’s current “sale” price (4780 yen) and what I was actually charged at release. Yes, you are reading that correctly: the “sale” price is actually 1300 yen higher than the release price! • 1-2 weeks of processing time, only shipped after customer asked about it. No acknowledgment or apology for this issue. • Customer support responses are slow, at best. • At worst there are no responses. • Pricing is erratic. Sales prices higher than non-sale prices. • SAL and EMS shipping higher than competing stores. 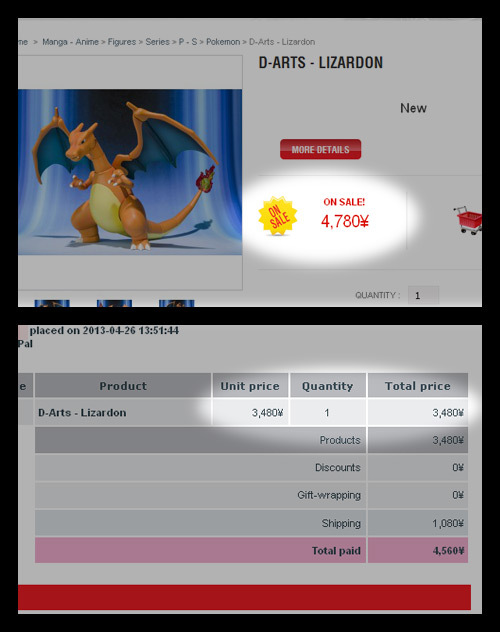 So there’re why there was no review for Bandai’s D-Arts Charizard. This is also why I will never use Nippon-Yasan.com again. The entire experience reminds me of an infamous order I placed through Toys ‘n Joys -- a webshop so bad it no longer exists. My future Japan-only purchases will remain with good ol’ Amiami and HLJ. Speaking of which, I have an actual product review courtesy of HLJ that will run next week.